CalTrend's exclusive "I Can't Believe It's Not Leather®" truck or car seat covers are the ideal alternative to leather. These pickup truck seat covers are the less expensive, animal-free alternative to a genuine leather seat cover. 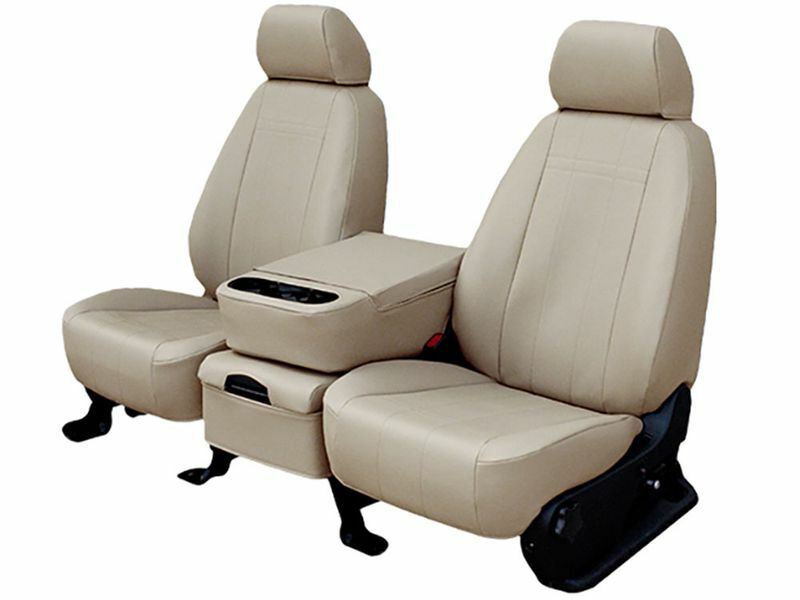 I Can't Believe It's Not Leather seat covers wrap your seats in ultra-smooth, ultra-tough leather look car seat covers, sparing you the expense and maintenance of the real thing. These auto seat covers are going to add an unsurpassed protection to your factory car seats, repelling liquid and blocking dirt and any other debris from staining your seats. CalTrend was thinking safety when they designed these seat covers. They offer a flap that allows for unobstructed deployment of your factory air bags. These seat covers are giving you the quality fabric you need for protecting your factory seats as well as giving your interior an unmatched look. The CalTrend I Can't Believe It's Not Leather seat covers are a sure way to help you sustain the value of your vehicle. "I Can't Believe It's Not Leather" seat covers are custom made to order. Custom built "made to order" products are non-returnable except in the case of warranty. Caltrend's warranty policy is repair or replace. If you have any questions and need help ordering, please call. We want to make sure your seat covers are ordered correctly to ensure you get the right seat covers for your vehicle. To ensure the front and rear seat cover material matches, please order the front & rear seat covers in the same order. 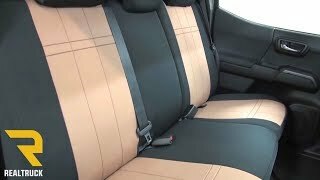 CalTrend "I Can't Believe It's Not Leather" Seat Covers are simple to install. Requiring no tools and come with easy to read instructions. If you have any questions please let us know at 877-216-5446.